The Playstation Vita is a powerful beast, there’s no denying. Last night, I posted a list of five games every Vita owner must play, most of which showed off the handheld’s graphical prowess. However, graphics aren’t everything, and the Vita also excels at housing some truly fantastic 2D titles. Here’s a quick list of five more games every Vita owner must play! The sequel to the brutal thumb-busting twitch skater OlliOlli, OlliOlli2: Welcome to Olliwood pushes Team17's already tight gameplay to the extreme. If you thought OlliOlli was hard, you haven’t seen anything until you’ve unlocked RAD-mode in OlliOlli2. The addition of manuals and reverts pushes the difficulty to the next level, so expect more blood-boiling face-plants. And while you’re face-planting, enjoy the toight soundtrack of fresh beats, brah — preferably with the use of headphones. The colors of OlliOlli 2 really pop — much more than its predecessor — and the character model has been improved, which provides for a silky smooth experience. Check out OlliOlli2: Welcome to Olliwood, if you haven’t already, and give your thumbs a nice workout. Few games harken back to the golden days of old like Rogue Legacy, which combines gorgeous, retro visuals with sometimes brutally difficult gameplay. Procedurally-generated castles always provide a fresh challenge, and memorable boss fights put one’s 2D-platforming skills to the test. The remixed boss fights, however... those will make you want to throw your Vita out the tram window (that is, until you finally defeat one and passionately kiss your OLED screen with pure, unadulterated bliss). The hook is strong with this one. Though cross-save with the PS4 (one of the best cross-saves ever, by the way), Rogue Legacy feels most at home, untethered, on the Vita. An absolute must play for any fan of old-school inspired games with modern gameplay systems! Get it as soon as possible. Easily one of the most beautiful side-scrolling games ever made, Muramasa Rebirth was originally developed, by Vanillaware, for the Nintendo Wii (Muramasa: The Demon Blade). Wielding demon blades has never been so satisfying, with tight, slash-em-up gameplay and gorgeous environments. A nice, saturated color palette is wonderfully pleasing on the eyes (again, especially with that OLED), and the story of both Momohime and Kisuke is top-knotch. There is plenty of replay value, as well — especially if you’re a trophy hunter, as the platinum will keep you busy for a while. 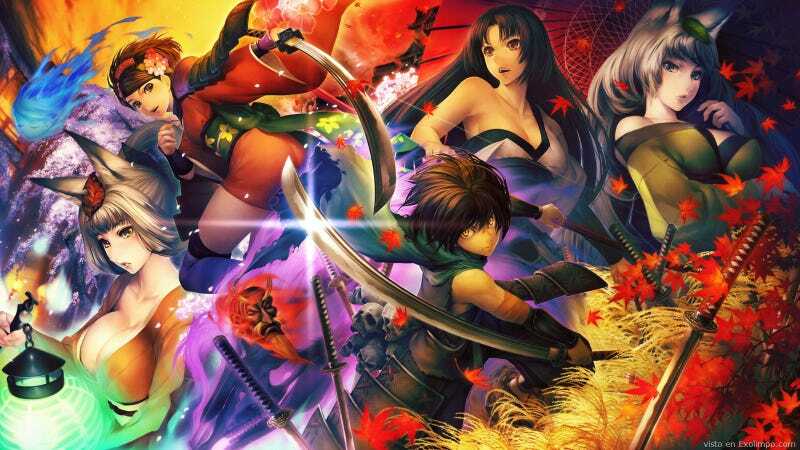 Like all Vanillaware games, Muramasa Rebirth shines as one of the best games in the genre. No Vita owner has lived until they’ve played this one — and props to those who actually own the physical release. From the moment you first boot up Super Time Force... Uuuultraaaa... you know you’re in for an over-the-top, radtacular experience, set to a sweet, retro-inspired soundtrack. STFU’s main draw is it’s time-control mechanic. At first, it’s a bit confusing — but once you get it, you’ll be causing full-scale mayhem in alternate pasts/futures in no time. Beautiful NES-inspired visuals and frantic, chaotic action makes watching your level-replay incredibly satisfying — with characters running and flying all over the place, blowing stuff up, collecting glorbs, manipulating time and changing the course of history... all at the same time, in the span of a minute or so! A gorgeous and unique experience, STFU is available on most every platform. However, in my experience, it feels most at home on the Vita (but is a must-play, no matter where you play it). I know what you’re thinking. If you read my previous article, you know that Velocity 2X was featured. However, after much consideration, I couldn’t neglect its predecessor, Velocity Ultra. Though it lacks 2X’s out-of-ship, 2D side-scrolling sections, the in-ship gameplay remains virtually unchanged. Like 2X, Ultra demands precision, and puts one’s memory to the test. Sure, the story isn’t as good, and it’s clearly the predecessor to the superior 2X, but Ultra mustn’t be written off! The core experience remains unchanged, and both games are best enjoyed when played together. If you’ve played 2X, but haven’t played Ultra, do yourself a favor: go back to Ultra. You won’t regret it. Thus concludes Part 2 in my list of games every Vita owner must play. Like before, this is not an exhaustive list, and there are some noticeable exemptions (P4G *cough*). This is probably the last list in the series... at least for the time being. I will be on vacation for 5 weeks, though — so I will certainly be logging some quality time with my Vita. As always, let me know what you think in the comments, or tweet @Shasdam. Until next time, always protect that screen. Adam is an American living in Budapest, Hungary, where he studies the Comparative History of Central, Eastern and Southeastern Europe. In addition to being an author on TAY, he teaches English privately to businesses and individuals. He can be contacted on his ConTAYct Page or @Shasdam.